The amphitheaters of Medical-Physics, Nuclear Medicine and Bio-medical Engineering have engendered preternatural verdure and irrepressible joie de vivre to the ephemeral lives of downtrodden humanity. Today, the bio-medical tools are beating the palimpsest of miseries and bringing salubrious arenas of change in the management of pathological conditions. The drudgeries and forays of the brains and brawn of Medical-physicists and bio-medical engineers have catapulted the standards of Clinical Medicine to the new heights and horizons with minimal effects of portending vagaries in the trendy cosmopolitan culture. The field of Physics was revolutionized by various achievements that pummeled the maledictions of pessimism and spearheaded the incantations of optimism for the mankind in the 20th century. Physics further contributed to the comprehension of human nature in the form of Bio-Physics which was introduced by Karl Pearson in 1892. The 2012 was a unique year of human history because of an interesting episode that took place with the help of Large Hadron Collider. 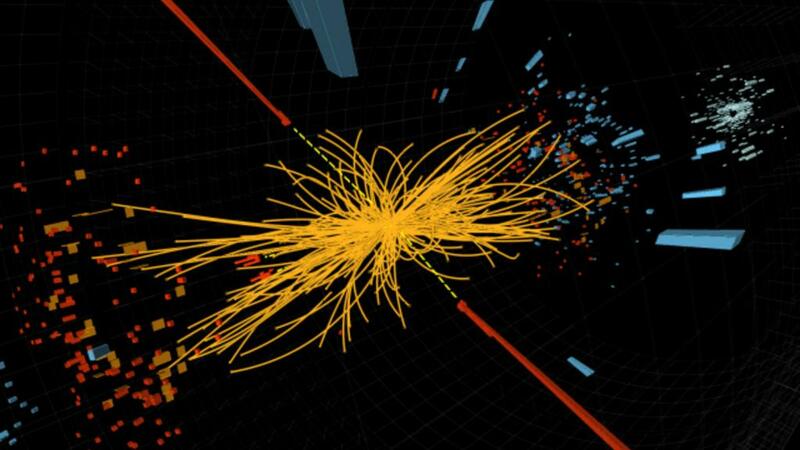 A new particle with a mass of 125GeV was discovered and confirmed to be the Higgs Boson. That discovery completed the Standard model whose journey, right from propounding in 1964, led to the conferring of Nobel Prize on Peter Higgs in 2013. The Higgs Field is an energy field that permeates the whole universe and consists of countless Higgs Bosons. According to this writer, if Higgs Bosons and Higgs Field are true in their true sense then it should also be true that mankind can invent and devise antiviral, antibacterial and anti-neoplastic tools by minimizing or increasing the Higgs Field inside the molecules of viruses, bacteria and cancerous cells in the tomorrow of today. The human beings of the future can get various quantum leaps with the help of Higgs field minimizers and increasers. Although, the life spans of Higgs Bosons are very short but it is my firm conviction that they can play a pivotal role in the Clinical medicine of tomorrow. The Hadron and Proton Radiation therapies are already in use in the arena of Medical Physics. The Proton Treatment & Research Centre at Loma Linda University Medical Centre (LLUMC) has already emplaced a paradigm of Proton Therapy treatments. In the same chain of events, the media reported in February 2018 that Finland was pursuing the path of introducing new Boron Neutron Capture Treatment (BNCT) which would be used for treating the cancers of head and neck. In addition, The Higgs Boson/Field therapy will be a breakthrough in Medical Physics in the coming days. Furthermore, as a true believer in God and his wonders around us, the discovery of Higgs Bosons and Higgs Field also convey the message that dooms day can occur with the disappearance of Higgs Field from the whole of the universe. The lofty goals of Medicine became more sacrosanct in the modern era due to induction of hardware like Single- photon Emission Computed Tomography (SPECT) & Positron- Emission Tomography (PETs). Similarly, the imaging tools like X-Rays, Ultrasonography, Echocardiography, CT- Scans and MRIs are all the products of Medical Physics and Bio-Medical Engineering. To know the frequency of patients utilizing the facilities of Medical imaging in hospitals, A retrospective Cohort study was conducted by me from January 2017 to December 2017 at DHQ Teaching Hospital, KDA, Kohat, Pakistan. Running errands for the rhapsodies of the time and fortune, the hallowed ground to beat the maledictions of pessimism and anxiety was utilized by 47923 patients in X-Ray Department while 12706 patients harnessed the facility of Ultrasonography. According to the census of 2017, the total population of district Kohat is 993874. From the aforementioned statistics, the Rate of per year utilization of X-Rays facility at DHQ Teaching Hospital, KDA- Kohat was found to be 0.04821839 while that of Ultrasonography bore the rate of 0.01278432. The Positive and Negative Predictive Values for various disorders could not be ascertained due to the retrospective nature of study but the study did reveal some stunning results about the validity of bio-medical tools at Government hospitals. The obsolete nature of various machines like that of X-Rays exhibited less than the desired specificity and sensitivity in some conditions. Most of the imaging equipment inside the Government hospitals of third world at secondary care level are outmoded and in malfunctioning condition that need urgent replacement. For that purpose, the brand-new machines like that of Digital X-Rays should be installed. To achieve the lofty goal of health care management, the MRIs and CT-Scans should be introduced in secondary care setups. Though, Bremstrahlung plays a central role in modern imaging and therapeutic equipment but the scientists should utilize their much-needed efforts to ferret out and explore other arenas that can be considered as leap forwards and achievements of extra-ordinary nature. The prominent role of Physicists should be highlighted in true sense in the orb of humanity. The physicists are responsible for a wide range of tasks in Nuclear Medicine and must perform duties that include the procurement and maintenance of imaging equipment and associated computer systems. Lastly, a vibrant institutional arrangement for producing the luminaries of Medical Physics and Bio Medical Engineering is to be evolved in third world countries like Pakistan for catapulting the health management system to the new heights.